Today marks some changes to the comics and classified pages of our Monday-through-Saturday print editions. Rather than three dedicated pages of comics, we’ll be publishing one comics page with the New York Times crossword and interspersing other comics and puzzles throughout the classifieds section. 14 comics remain, 12 comics have been cut. 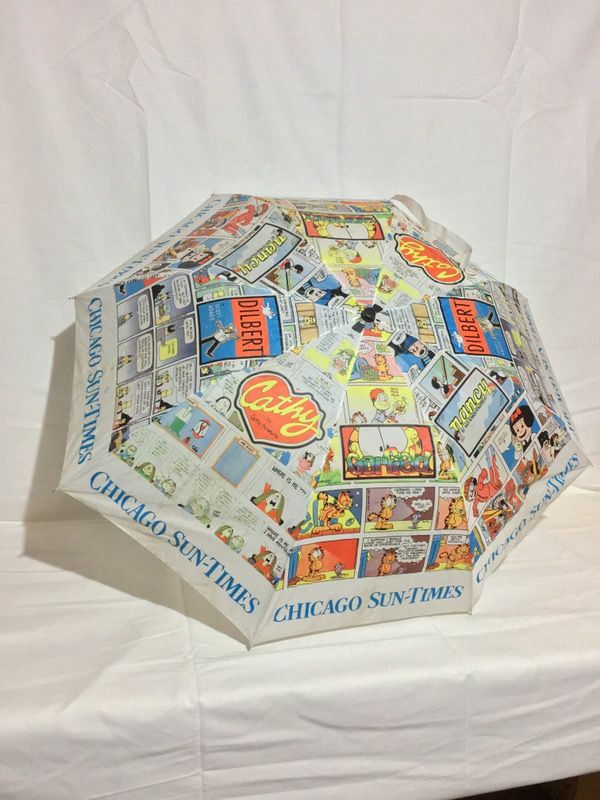 The Chicago Sun-Times message to readers about print edition comics and classifieds. what got booted and the assigned seating of those remaining. Bet you $20 they did not survey their readers. They simply asked for feedback and got it from the folks who are retired and have time for such things. I wish editors would learn what the term means. Yep, it’s ALWAYS “get rid of the comics”, isn’t it? If they lose just 100 subscribers a year in relation to this change, they will have lost more than $24,000 in annual revenue. ($240 annual sub). If they lose 500, they would lose more than $120,000. I bet it’s more than 100. Could they be saving that much in newsprint and syndicate fees? Imagine if they lose 1,000 subscribers. Start with the idea that they’re likely paying up to 30 percent simply to their carriers. Well, not 30 percent of $800, for sure. But the cut from print to e-edition is significant. On the other hand, going strictly to e-edition is troublesome unless you maintain a strong, strong local presence as well as other reasons for people to stick with you. What you end up with otherwise is people popping in for one story and then wandering off. Which seems to cover a lot in the industry. Well as we learned from Pulitzer and Hearst, nothing boosts newspaper circulation better than eliminating comics! Every time a cost cutting move is made it always starts with ‘we surveyed our readers/clients/customers,’. Does anyone ever believe that? Changes are made to save money. It’s always about the bottom line. They must have also fired all of their proofreaders. Sentences don’t always make sense, words are misspelled, and sometimes a sentence is repeated in the same paragraph. It’s only a matter of time before there is no news on paper anymore. It will all be on line. Pooch cafe was the best. One of the reasons I bought the paper. Write your paper. Only the readers can bring cancelled strips back.